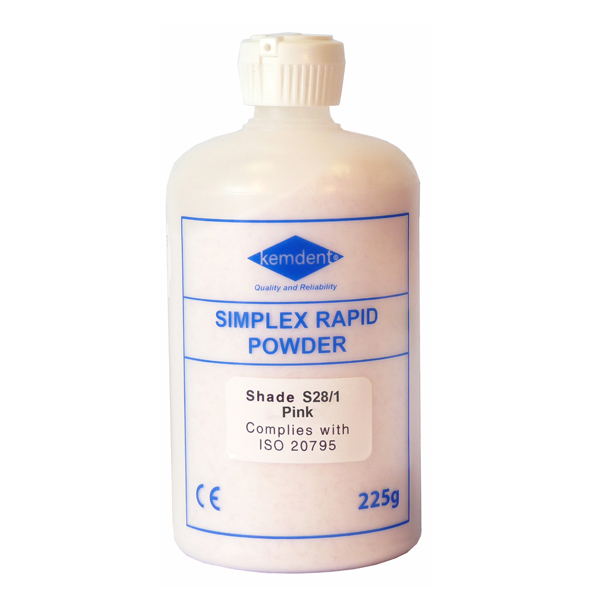 Kemdent’s Simplex Rapid Powder is a self-curing and cold cured acrylic material with multiple applications. It mixes easily with Simplex Rapid Liquid, cures quickly using hydroflask or bench cure techniques and is very easy to trim and polish, maintaining dentures that are resistant to breakage and fracture. Once cured it is easy to finish. It is well tolerated by the patient’s tongue and soft tissues.